Tidying Up with Marie Kondo follows Japanese expert organizer Marie Kondo as she leads American households through her KonMari Method, where only items that spark joy are kept. When it debuted on Netflix on Jan. 1, the reality show inspired intense decluttering, with headlines reporting that thrift stores were receiving a noticeable bump in donations. Although following the KonMari Method involves a complete lifestyle overhaul, Kondo’s approach can be applied to smaller projects, such as decluttering your medicine cabinet this spring. Start by gathering all of the personal care items in your bathroom, purse or car (skin care, makeup, shampoo, etc.) and go through them one by one, discarding what no longer sparks joy and designating a proper home for what does. According to Michele Delory, a KonMari consultant and the owner of Modern & Minimalist in Toronto, it’s likely that much of what’s in your makeup bag will have already expired or is rarely being used. Other bathroom items, such as medication, may never spark joy but must be kept because you need them. Delory says it’s common for people to want to hold onto investment items such as perfume or luxury skin care, but that there’s no reason to feel guilty about saying goodbye to things you don’t use. “It sparked joy when you purchased it, or when someone gave it to you, but now it has served its purpose,” she says. 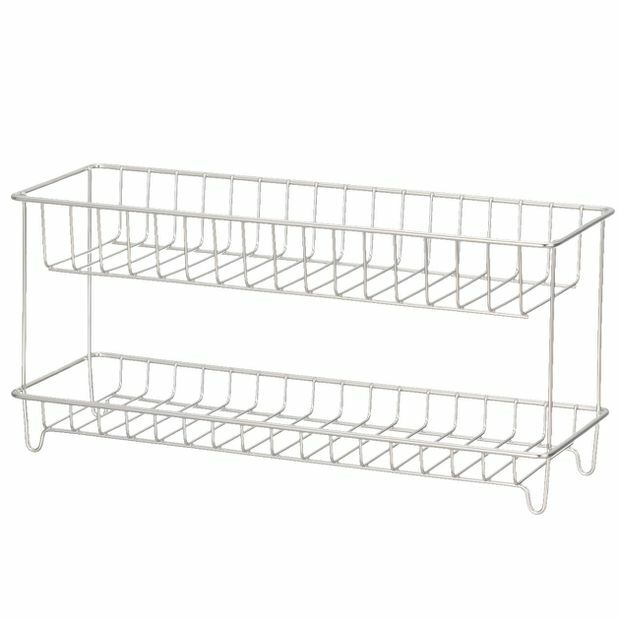 Stainless Steel Bottle Rack 2 Tiers, $25 at Muji.